He is approximately 3 ¼" tall and 1 ½" wide and is made of acrylic. From the Wonder Lights Collection comes the Mini S'more Flicker Light. A perfect little companion to take with you wherever you go or a wonderful gift for someone you know. Includes 1 Button Cell Batteries. 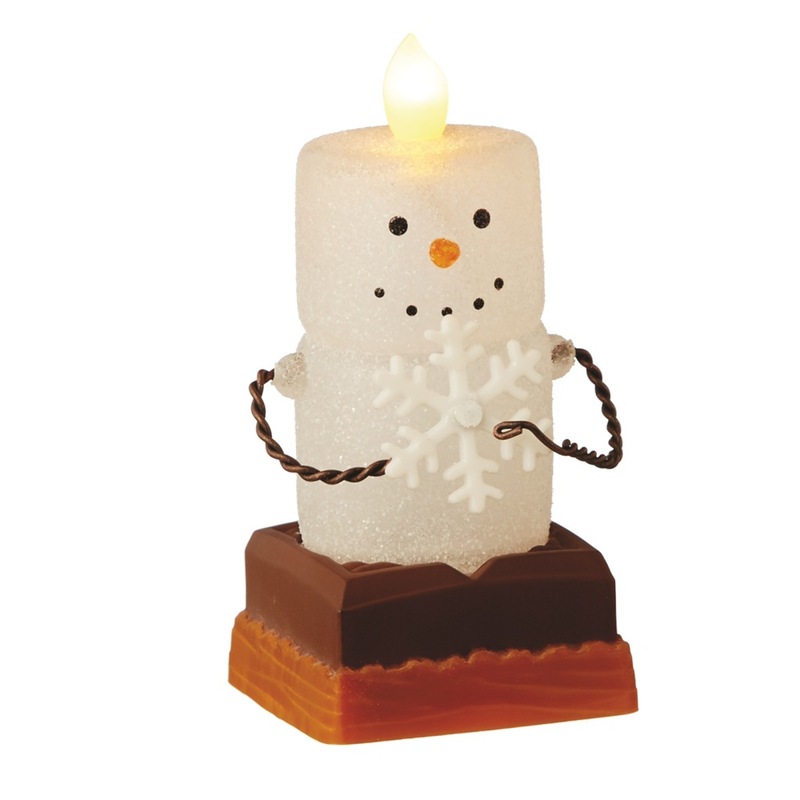 He flickers and glows just like a real candle! He is part of the 2015 Collection.